President undercuts government's stance vis-à-vis Iran in birthday interview. President Shimon Peres undermined Israel's aggressive position on the matter of Iran in an interview with Channel 2 News held on his 89th birthday. Asked if he trusts President Barack Obama is sincere about his intention of preventing Iran from achieving nuclear weapons, he said: "I am convinced that it is an American interest, I am convinced that (Obama) sees the American interest – he is not saying it just for our benefit. I have no doubt whatsoever in this. In conversations with him, too… And now it is clear to us that we, alone, cannot do this. We can delay… therefore it is clear to us that we need to work together with America; there are questions of coordination and there are questions of timing, but as grave as the danger is – at least this time, we are not in it alone." Peres, whose job as president is almost exclusively a ceremonial one, claimed that statements by Prime Minister Binyamin Netanyahu and Defense Minister Ehud Barak show that they, too, share his view. Interviewer Yonit Levy noted that Netanyahu and Barak have been saying that if Israel has to depend on itself it will do so. Peres answered: "Israel has to depend on itself, but when it depends on itself, that does not mean that it has to give up on its friends. When I say 'I have the right to self defense,' that does not mean that I have an obligation to stop talking to everyone! Of course not!" 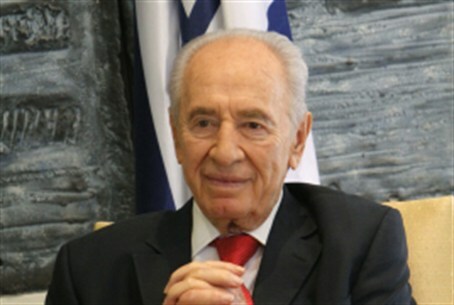 According to a report on Channel 10 this week, Peres appears to be leading a coalition of government officials, MKs, and public figures who oppose Israeli action against Iran's nuclear program. The report said that he has been spreading his opinion against a strike at every opportunity, including at meetings with foreign dignitaries. Peres is said to have pressed U.S. Defense Secretary Leon Panetta on the point when the two met several weeks ago, with Peres stressing that attacking Iran would not be a good idea. Peres' office had no comment on the story. The late prime minister Yitzchak Rabin, Peres's perennial rival in the Labor party, famously called Peres "an indefatigable backstabber" in his autobiography.